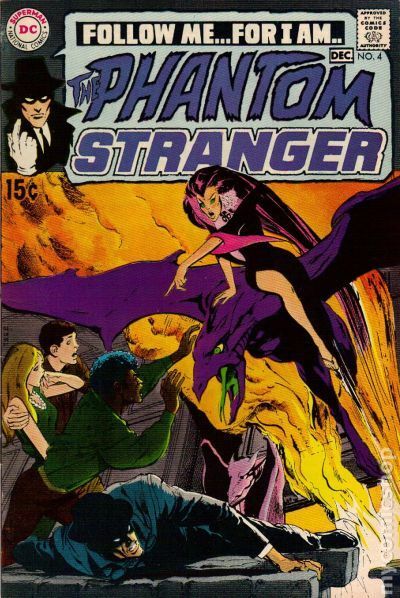 It’s been a very long time since I posted here, but tonight I had some time, so I thought I would take a look at this title, one of my favorites from the Bronze Age – Phantom Stranger. In this book, you get a ton of great art from the likes of Kaluta, DeZuniga, Adams and Aparo. 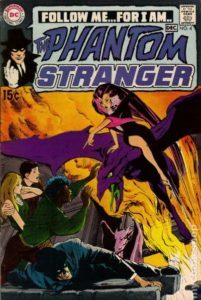 When the comics code was updated in 1971 to allow for more horror related themes, we see the impact of that change in this magazine. These books have never been highly sought after and this is evidenced in the graph. There aren’t that many copies graded, because the value just isn’t that high. 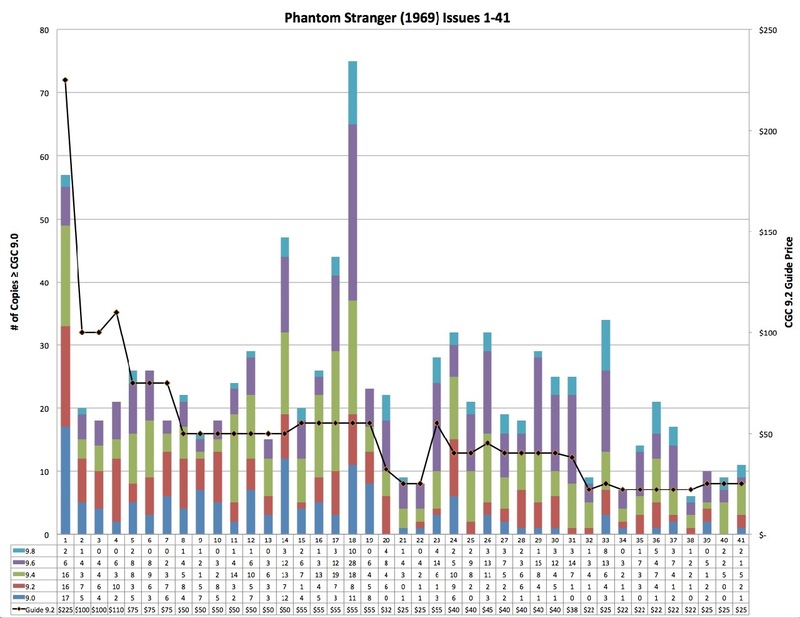 One anomaly, the number of graded copies of issue 18, suggests that maybe that issue was part of a warehouse find…but its hard to say for sure. Looking at GPAnalysis data, the last sale of issue 18 in CGC 9.6 was at $52, while issues 17 and 19 go for considerably higher…so, the market is working there. One final observation….it’s really clear that perceived value drives CGC submissions. It’s an obvious observation that is once again driven home here. It just makes no sense to go through the effort to submit a pre-1974 book if it is only going to fetch $100. Either way…this would be a great run to put together in high grade. And there are plenty of CGC graded copies to be had on eBay. They are pretty cheap, and the title likely has staying power for the future. But be sure to get a reading copy if you decide to put a set together! Comics are meant to be read!